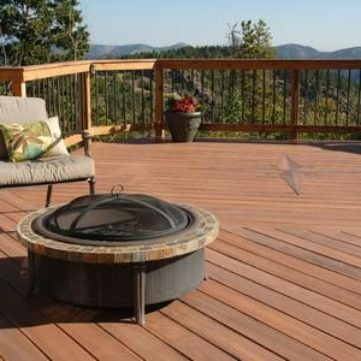 Of all the possible additions to a house, the natural beauty, enjoyment and usefulness of a wooden deck is hard to match. 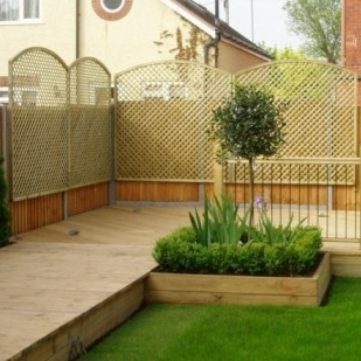 This has been recognized by the dramatic increase in the number laid in the UK in recent years. 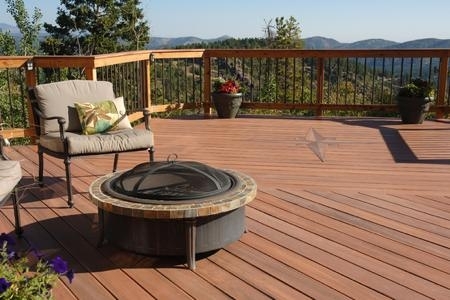 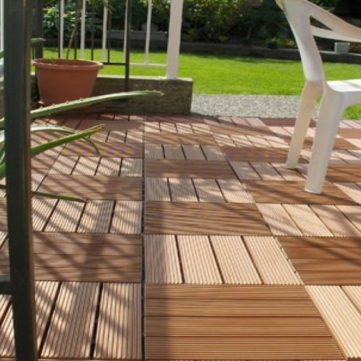 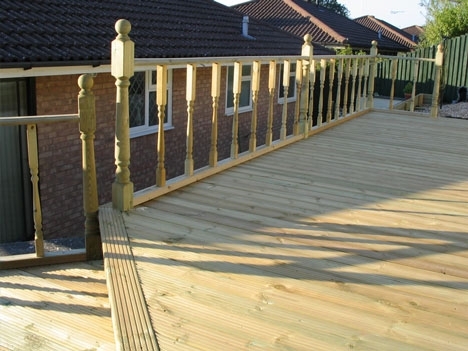 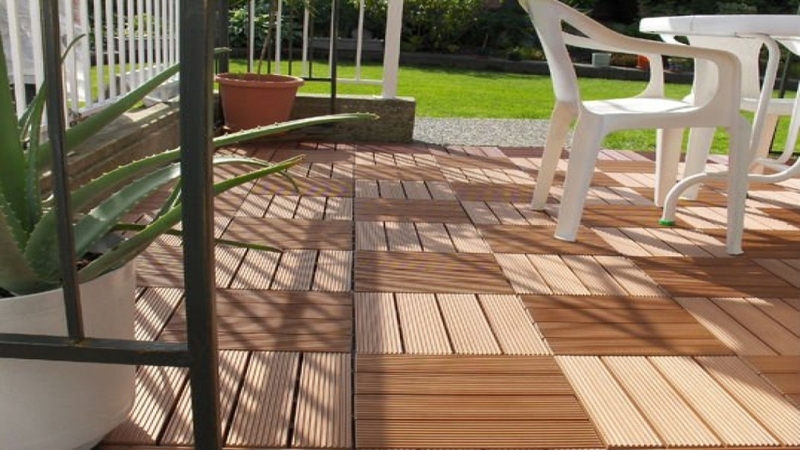 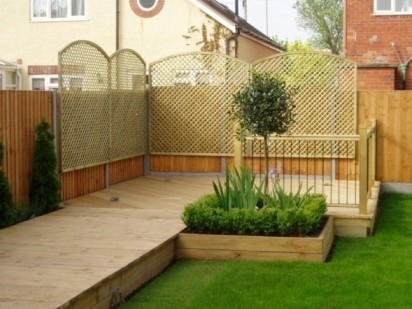 Decking can offer many advantages over hard landscaping. 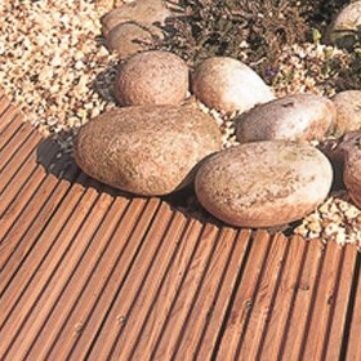 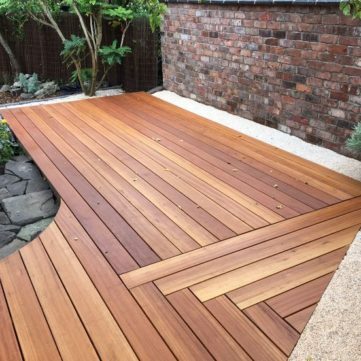 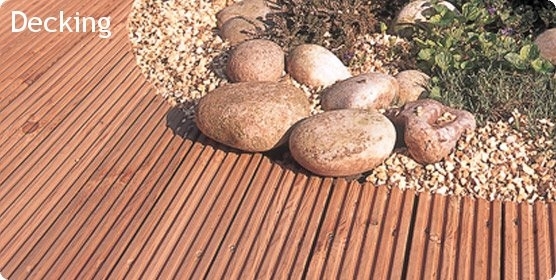 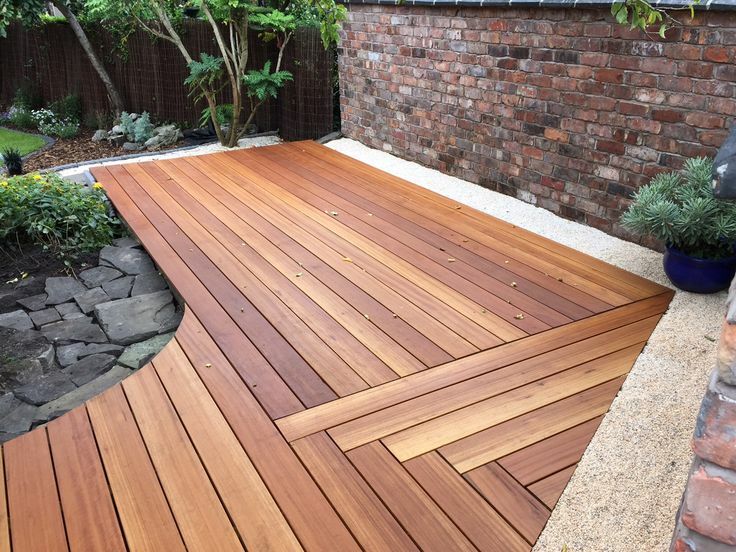 In addition to the obvious aesthetic potential for a natural product in the garden, decking is a very cost-effective solution to extending your home outdoors. 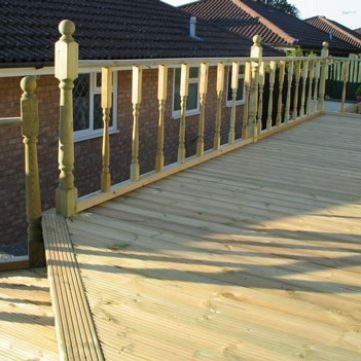 It also provides a simple and easy to install solution for changes in level, with minimal wet construction and site excavation and can be easily modified or extended at a later date. 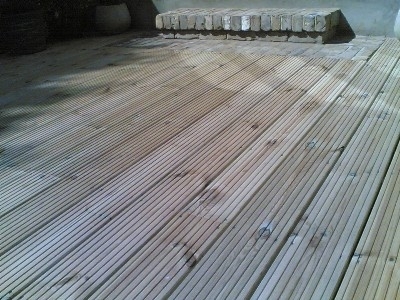 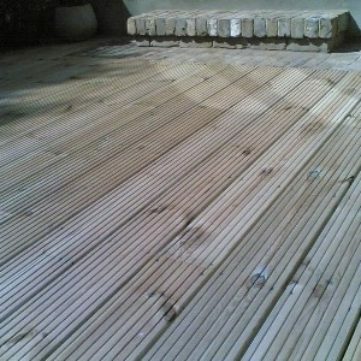 Hardwood decking is available on request.